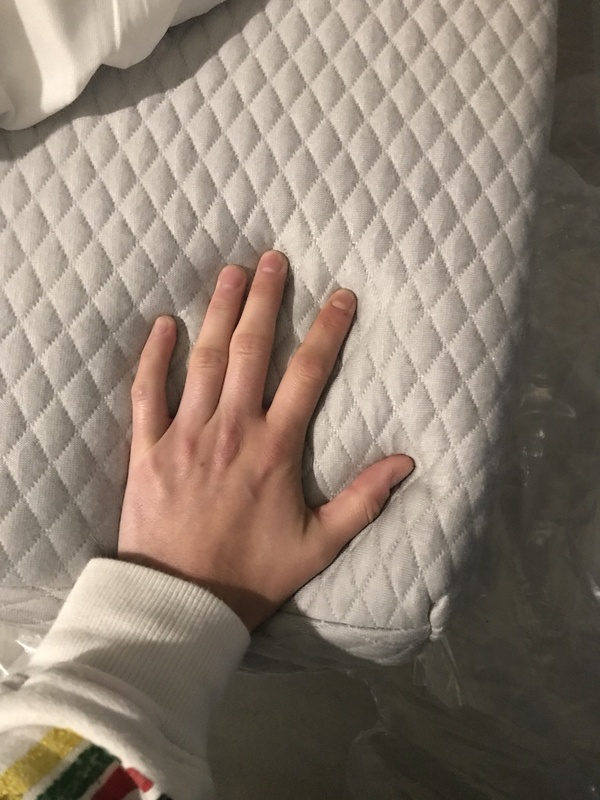 This Hyphen mattress review was completed by the MattressJunkie.com team recently. 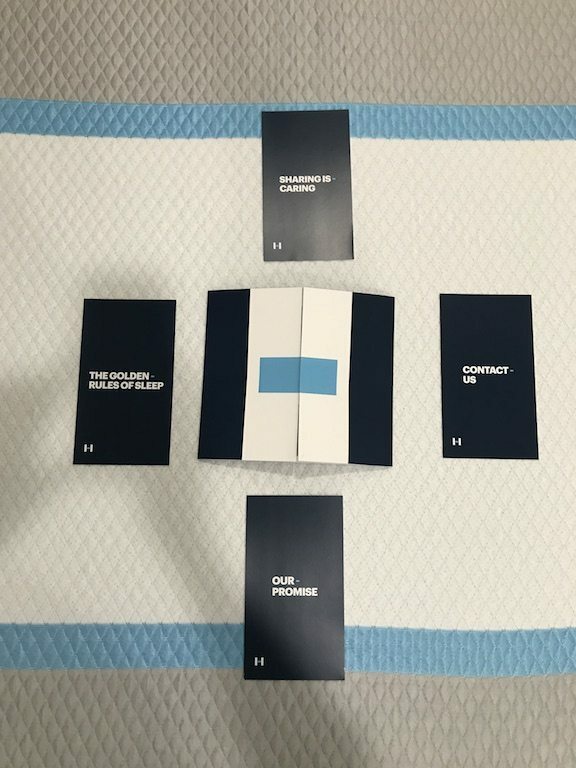 Hyphen set out to reinvent how the world thinks about sleep. 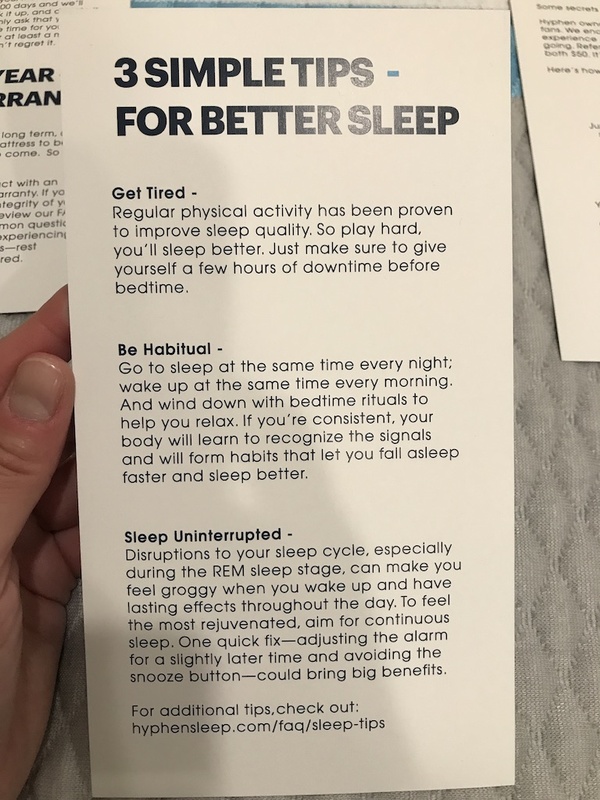 Hyphen recognizes how vital sleep is to one’s overall wellbeing. 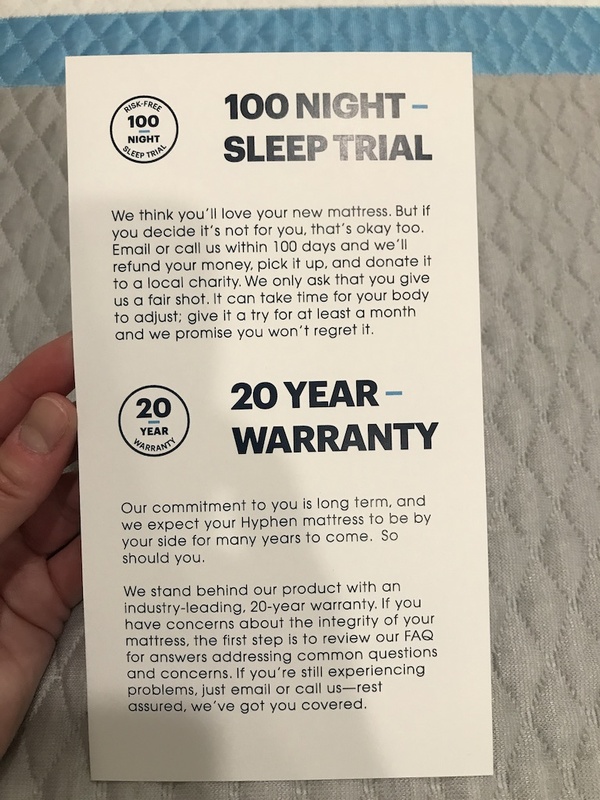 The people at Hyphen did their research and uncovered all the reasons why the traditional mattress industry and mattress buying process is broken. 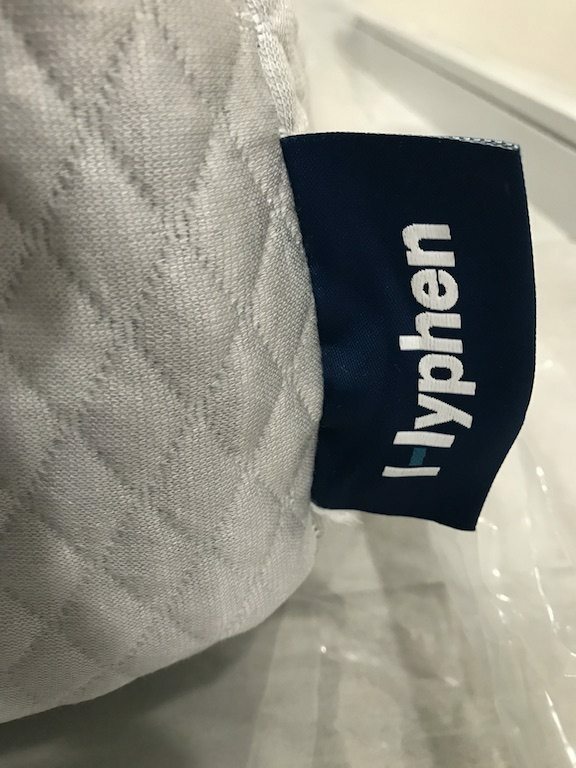 Hyphen listened to consumer’s needs and built a mattress that addresses common areas of frustration like temperature control, antimicrobial protection, long lasting quality, and universal comfort. 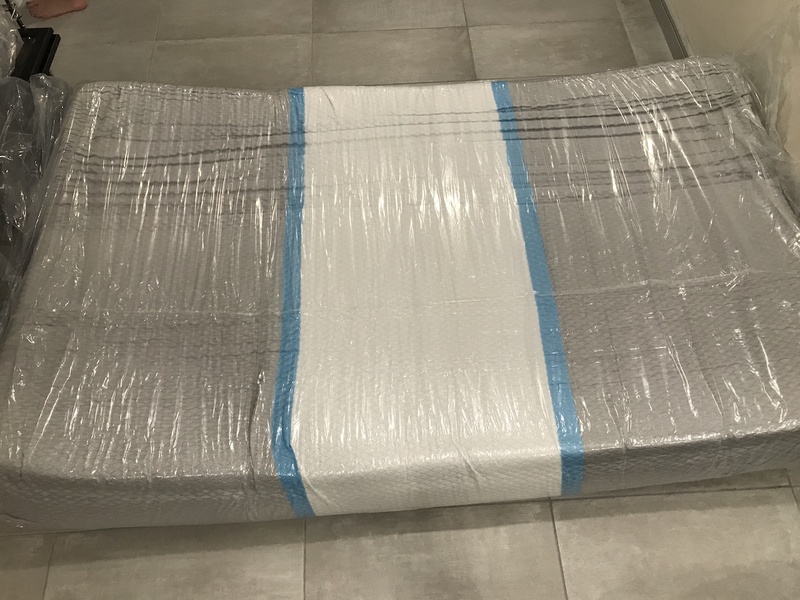 The Hyphen mattress made a positive impression straight out of the box. See how the Hyphen mattress stacked up in the Mattress Junkie review process. 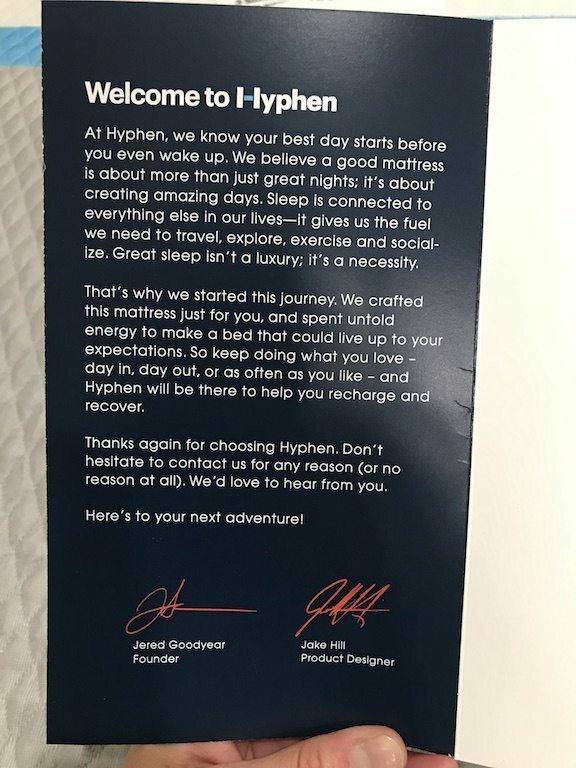 Hyphen’s cover has been my favorite of any mattress that I have reviewed thus far. I wasn’t expecting the cover to feel and sleep so cool. The polyester and spandex combination is nice and thick. The spandex provides a really nice stretch. The Hyphen mattress cover is anti-microbial, hypoallergenic, and breathable. Hyphen sleeps cool and I was very impressed by the temperature control considering how well the mattress contoured my body. 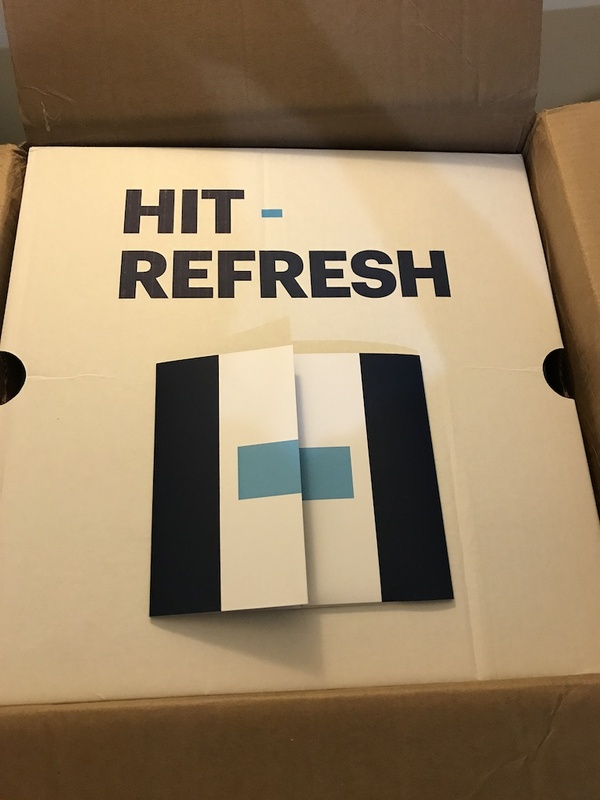 The cover of the Hyphen has a nice color pattern featuring gray, white, and light blue. 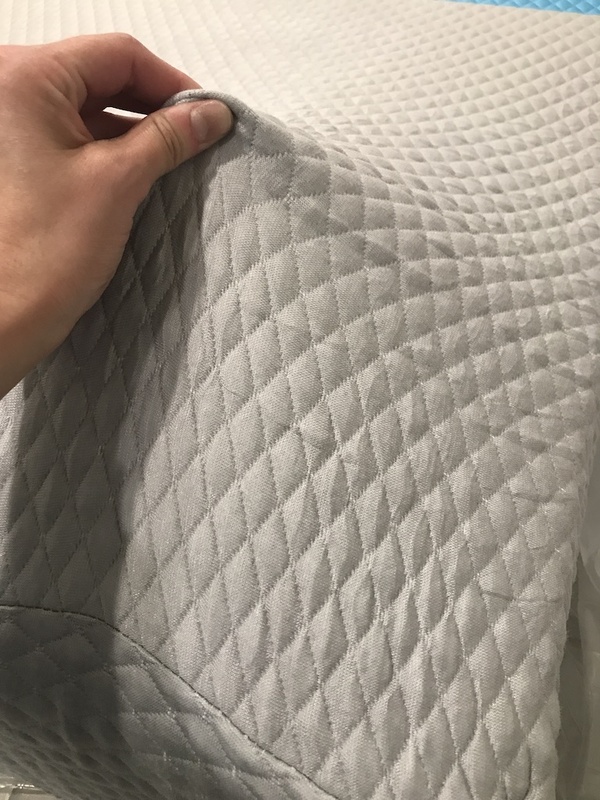 I personally have always wondered why more companies don’t venture away from the traditional white color of mattresses and would assume consumers would also like the variety. With children, moving, and normal wear and tear, white mattresses don’t always stay white. The gray will hold its own over time. 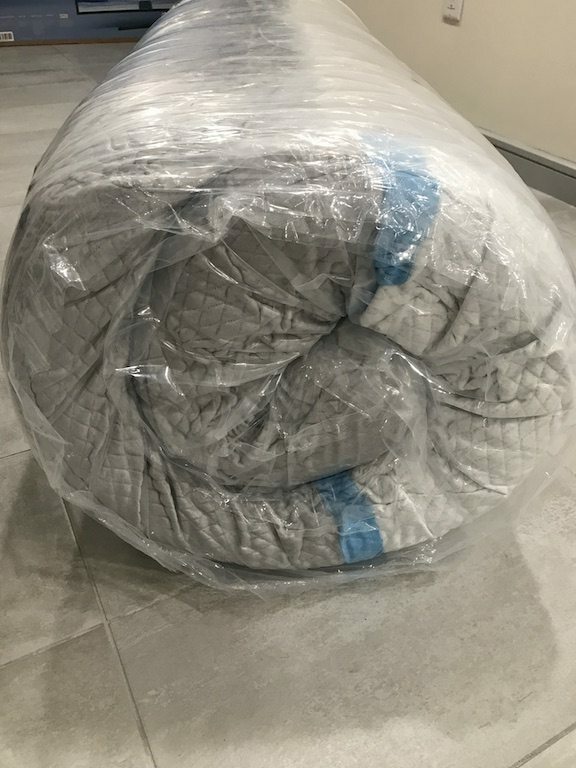 The anti-microbial and hypo allergenic properties of the Hyphen cover and foam also add some peace of mind that you are sleeping cleaner and healthier. Consumers with seasonal allergies and breathing issues should keep Hyphen in mind when they are searching for a cleaner sleep environment. The Hyphen mattress is comprised of 3 layers of Hyphen Foam. Hyphen Foam is Hyphen’s proprietary foam designed to address common pain points from consumers with memory foam and latex mattresses. In addition to the anti-microbial cover, Hyphen Foam is also anti-microbial. The proprietary foam provided excellent support while promoting blood circulation and muscle recovery while reducing pressure points throughout the body. Hyphen is also infused with copper. Copper helps with temperature control as well as providing an array of health benefits to those with aching joints and injury recovery. The first layer of the Hyphen mattress is the comfort layer. The 2 inch comfort layer provides just the right amount of sinkage and body hugging for an excellent sleep experience. This layer is not too firm and not too soft. Hyphen’s diligent research paid off with providing a mattress that works for everyone. I have slept extremely cool every night and was as comfortable on my side and back as I have ever been on any mattress. I often sleep with a leg pillow due to lower back pain and was completely stopped using it while sleeping on Hyphen. The 2 inch second layer is what Hyphen calls the buoyant middle. This gives the mattress it’s bounce. The bounce on Hyphen was also spot on and something that I appreciated since I slept with it on the ground. This layer made getting up from the mattress easy. Coming from someone who gets up in the night to use the restroom, the struggle with being low to the ground is sometimes more laborious than others. The third and final layer is the durable base foam. This 6 inch layer is responsible for support. While Hyphen is a medium on my firmness scale, the support and motion transfer was solid. Hyphen’s support was so impressive to me that I am no longer convinced that I need a firm mattress. The Hyphen is not too firm and not too soft. I would rate Hyphen on the medium side of firmness. Simply put, Hyphen was one of the most comfortable mattresses that I have ever slept on. The support provided with reduced pressure point construction provided a great sleeping experience. What Sleep Position Works Best with The Hyphen Mattress? Hyphen’s dedication to universal comfort works for all sleep positions. As a predominantly side sleeper and occasional back sleeper, Hyphen worked great for me. I never once felt like I was sinking in too much which is a common complaint from consumers with memory foam mattresses. What Type of Edge Support Does Hyphen Provide? Whether you sit on the edge of the bed or sleep near the edge, support can become an issue. Consumer complaints of edge support are common with so many memory foam mattresses. Hyphen’s edge support was average to above average for similar mattresses. I didn’t have any negative impression of the support nor do I think it would be a pain point for consumers. 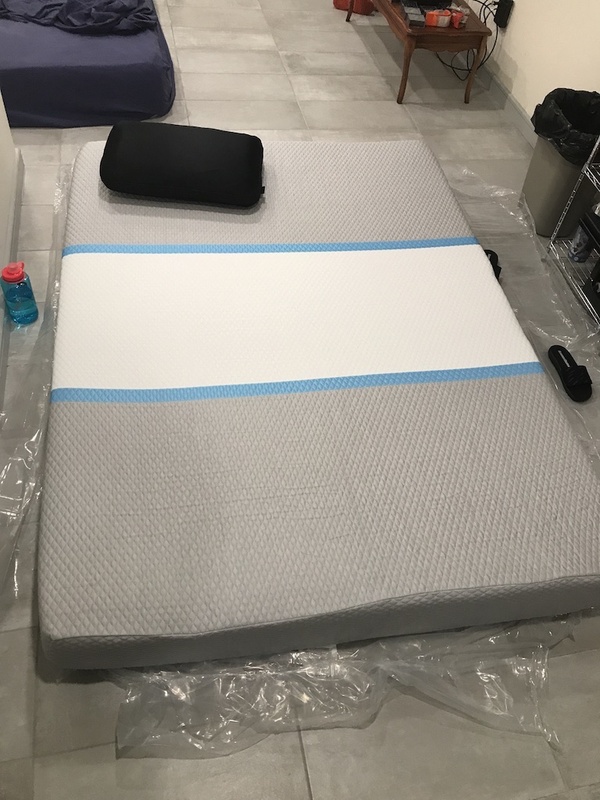 What type of base should I place my Hyphen Mattress on? As you can see from the photos, we reviewed our Hyphen mattress on the ground. Hyphen recommends sleeping any firm, flat surface such as a box spring, platform bed, floor, or adjustable frame. Why Does My Hyphen Smell Like That When Taken Out of The Box? What Type of Return Policy Does Hyphen Offer? Hyphen ships free and offers a 100 night money back guarantee so you don’t have to worry about any hassle if you decide not to keep it. Is My Hyphen Made of Safe Materials? 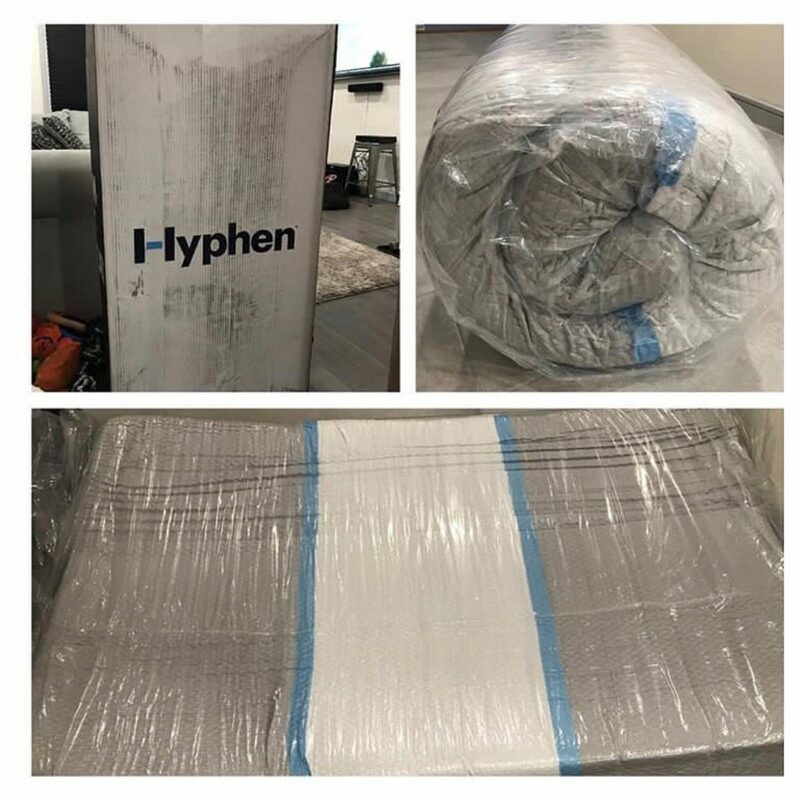 Hyphen is made in the US from high quality materials that are Certipur-US Certified so you and the environment are safe from any harmful toxins. How much does Hyphen cost? Is financing available? Financing is available so you don’t need to worry about paying all at once. Hyphen offers no payments and no interest for 6 months via PayPal Credit. How much did we love Hyphen? I can’t brag enough on the Hyphen mattress. Hyphen was initially attractive to me due to the antimicrobial properties. I never expected to be this blown away by the overall quality of sleep and comfort that Hyphen provided. I have slept with a leg pillow for quite some time due to lower back pain and ditching that after a few nights is something that I never thought was possible. 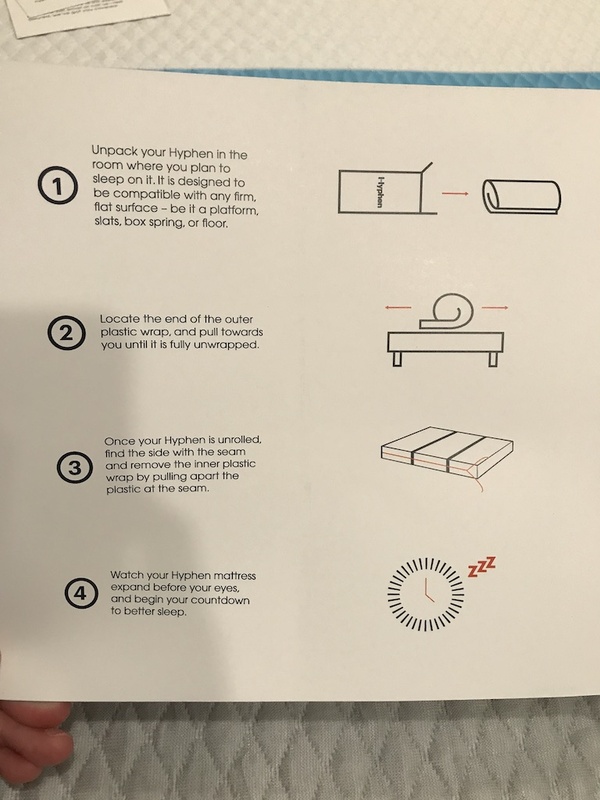 Hyphen raises the bar for all mattresses that I will review for many years to come. Kudos to the Hyphen team for producing an excellent mattress for such an affordable price. Learn More About Hyphen Here……Code JUNKIE50 saves you $50 on any mattress purchase!